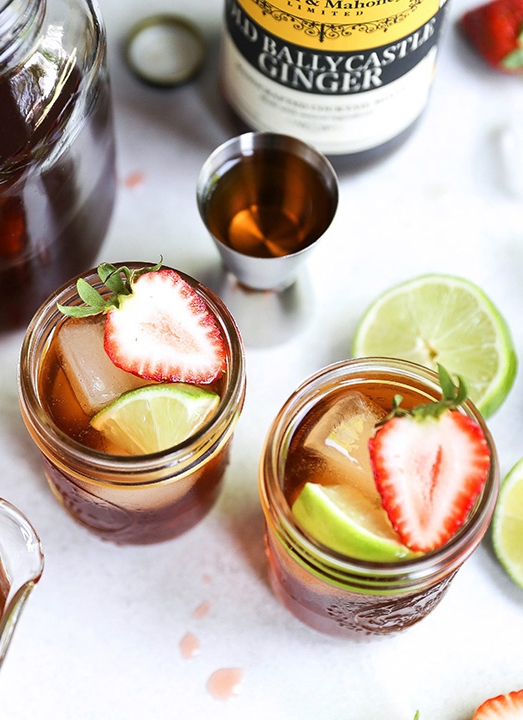 It’s strawberry picking season here in New England, and what better way to use this delicious fruit than in a cocktail (or two!). Well actually… we’ve got four. And there’s something for everyone, with recipes calling for mezcal, rum, vodka, and gin. 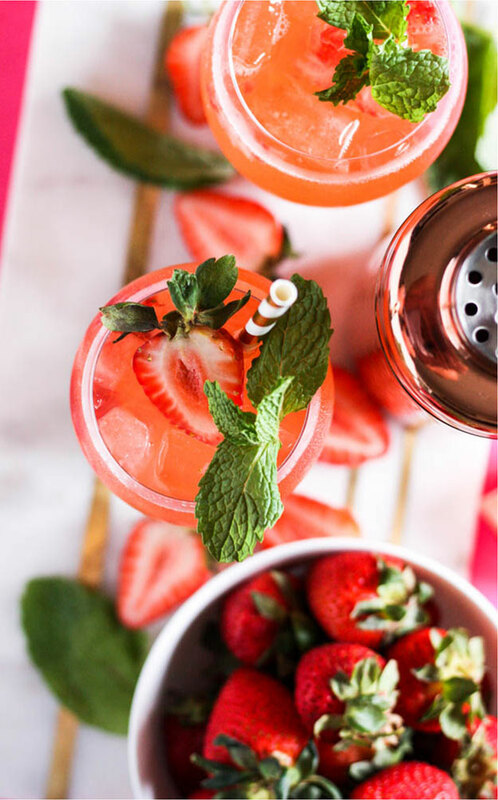 Whether you’re going strawberry picking, or picking up strawberries at your local grocer, here are four strawberry cocktail recipes you’ll want to sip on this weekend! 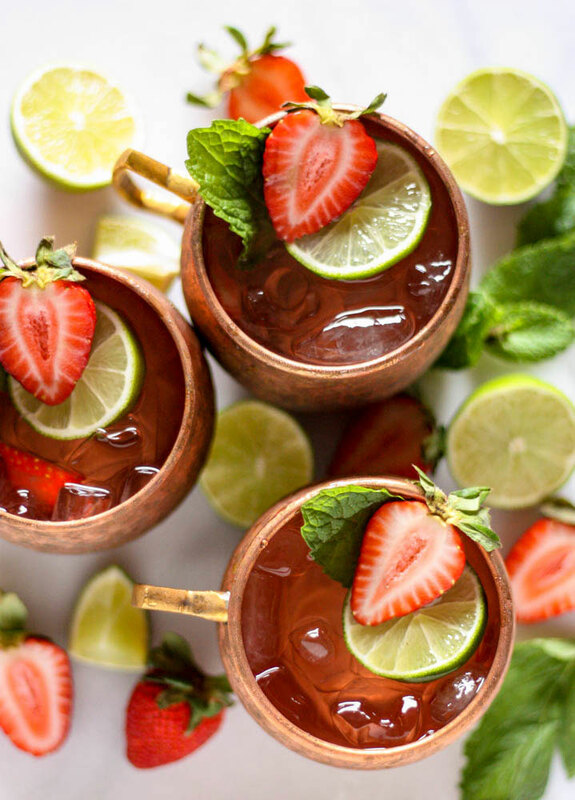 Muddle strawberries, vodka and lime juice together. Pour into a copper mug filled with ice. 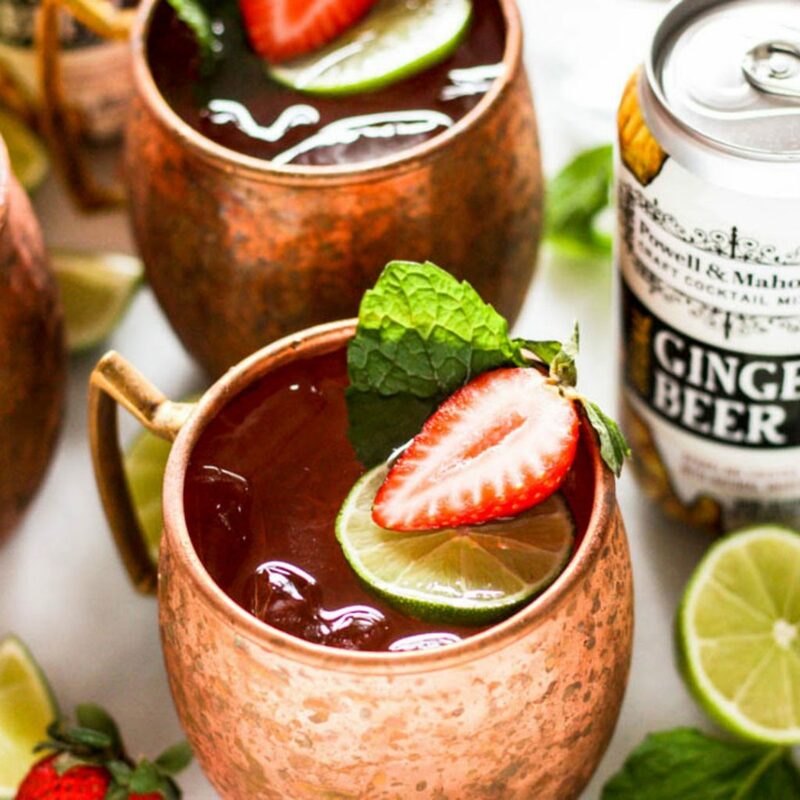 Top with P&M Ginger Beer, mix well and serve! This was one of the favorite margarita recipes we shared during our countdown to Cinco de Mayo a few months ago. 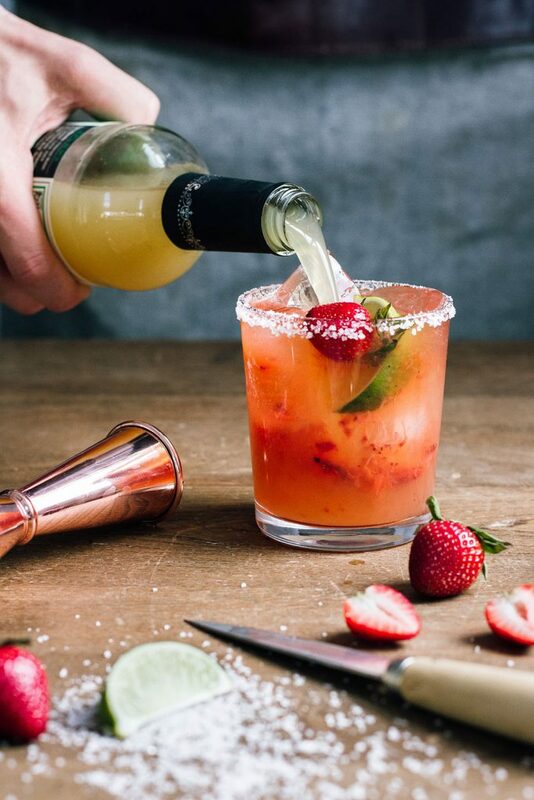 Created by Evan Kalman (@add1tbsp), this roasted strawberry libation is all you could ask for in a margarita (and more!). Muddle strawberries, P&M Mango Passionfruit Margarita, and gin together in a cocktail shaker. Add in ice, and shake. Strain into a glass with fresh ice, and top with club soda. Stir, and enjoy! We featured this recipe up on the Craft Your Cocktail blog not too long ago. If you’re new to shrubs, we’ll give you low down. And if you’re already a fan, this is a must-try! 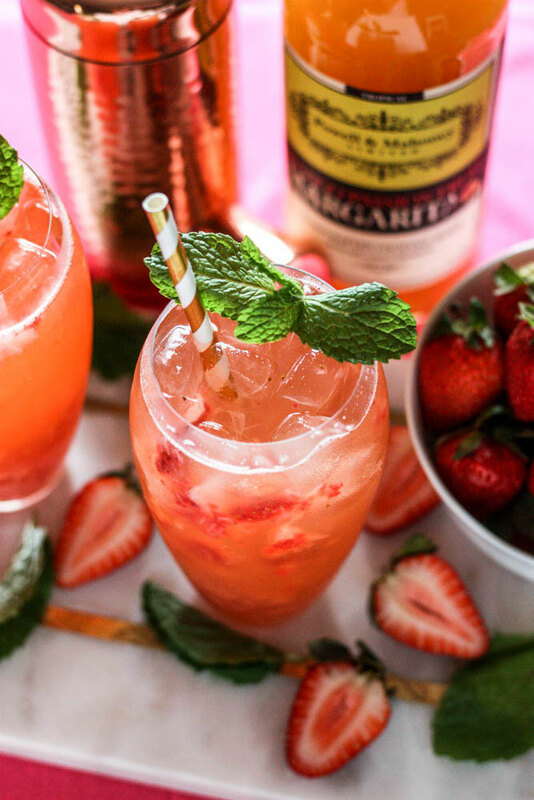 Share your strawberry cocktail recipes with us on Instagram, using #CraftYourCocktail!